Most of the dust and dirt you remove from your home was originally airborne. While you can clean the stuff you see, a lot of it ends up inside your ductwork and HVAC equipment. The EPA has reported that the air inside the typical home is up to five times more polluted than the outdoor air, which explains why the incidence of childhood allergies and asthma has risen sharply. If you notice dust in the air or unpleasant odors when your HVAC system turns on, consider buying a low maintenance UV light from the pros at Northeast Florida Heating & Air. Ultraviolet technology can significantly improve the air quality inside your home and help your heating and cooling equipment run more efficiently. Ultraviolet is part of the light spectrum that we can’t actually see. While overexposure to UV rays from the sun can be harmful to humans, controlled UV is very effective in destroying a wide array of contaminants including bacteria, smoke, paint fumes, pet dander, dust and even viruses. UV lights are installed directly into your ductwork or near the evaporator coil in your HVAC system. A site glass allows you to verify the light is operational and safely removing unwanted contaminants. Every time the air in your home circulates through the system, the UV wavelength will silently eliminate the pollutants before they enter the living area. Eliminates Airborne Contaminants: UV is the only technology that actually eradicates living airborne pollutants. A UV light will destroy many irritants that a filter can’t trap, including gasses and germs. A high-tech filter and a UV lamp work together to provide the ultimate in IAQ protection, so those with respiratory issues will breathe easier. Lower Monthly Energy Bills: Contaminants thrive in humid climates like ours, and the buildup of dirt and grime negatively impacts system efficiency. This forces your HVAC system to run longer to meet the thermostat call. 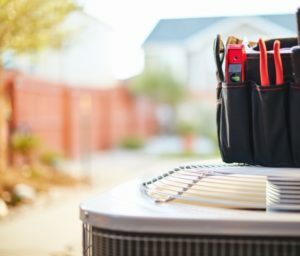 Improved HVAC Equipment Performance: Dust, dirt, and grime are the enemies of your HVAC equipment. UV is the only technology that works from the inside of your ductwork and evaporator coil to help keep the interior of the system clean. This helps promote better performance, which can extend the life of your equipment. If you’re interested in learning more about the benefits of UV light technology, call one of our comfort specialists today. We provide complete UV light repair and installation services for customers in Jacksonville, Julington Creek, Fleming Island, Ponte Vedra, Orange Park, Atlantic Beach, Neptune Beach, Jacksonville Beach, Mandarin, FL, and the surrounding area.